Sales are up, but are parents or kids driving the revival? Board games are said to be making a comeback this Christmas as parents introduce their children to the joys of dice, contraptions and pretend money. But can they really compete with the high-tech world of PS2s, Gameboys and interactive robots? It's the end of a long day or a grim week and the lazy gene is desperate to kick in as you slump on the sofa. At times like this, as the kids stampede into the room demanding entertainment, you'd rather the board games stayed in the box. You know what problems lie ahead - you can never find that stupendously small elastic band for the Mousetrap, and if you ever get to construct the crazy contraption the cage never stops at the top of the pole and the cannon ball disappears under the sofa you should be sleeping on. The wild frenzy of excitement as the box comes out is quickly replaced by crippling disappointment - no matter what the game, something will be missing. There aren't enough sticks left in KerPlunk! to hold the marbles up, the unfortunate fellow in Operation only has his kneebone left for removal. Half of Mr Green the Greengrocer's family has left home while Professor Plum, up for murder in Cluedo, has done a bunk. Frustration! becomes reality and though the die is safely trapped under a plastic dome, all the ludo pieces are lost. These thoughts and many more - "there must be some dice somewhere in the house, and we must have a shaker" - flash through your sleepy head as a crescendo of voices demand action. So why on earth bother? The merits of the Playstation surely eclipse all this "hunt the missing piece nonsense" (unless you can turn that into a game). Even my four-year-old knows how to set up the PS2, there is a shelf full of games ready to load up and all the children will play for hours on end while you snore and dribble on the sofa. And on a Saturday morning - fantastic! They get themselves up at 6am, turn the TV on, switch on the kit and you can lie in until 8, 9 and beyond. Surely, the ultimate parenting solution? Well actually, no. A number of other important factors need to be taken into account. This might be a hi-tech era, but old rules often apply and the Playstation game boxes may well be empty. If one child is playing it will lapse into a hypnotic state, do all the moves without thinking, speak to no-one, get aching thumbs and sore eyes, and unleash the mother of all tantrums when it is time to stop and do something like eat, speak or help around the house. If two are playing, one will be better than the other and a fight will break out within 10 minutes. If three children are involved, one will be left out and will concentrate on accidentally disrupting the proceedings - standing in front of the TV, getting a foot caught in a cable, throwing a cushion at brother's head. Fighting will break out within five minutes. All the children are better than you at all the games. Three weeks ago we bought Cluedo for my 10-year-old daughter's birthday. She hadn't asked for it and had no idea what it was. Yes, it was probably mum and dad that fancied it the most. Her response when opening the present would not have been less enthusiastic if it had been a stack of homework manuals. But since then, carefully guarding the box to ensure none of the pieces abscond, the effect has been dramatic. Three games last Sunday afternoon, the family all round the table talking, explaining and laughing. A bit of light-hearted competition, some thinking on the hoof, responding to different moves around the table, and a different outcome every time. Net result: everyone happy, and constant demands since for dad to get home early and get the board out. This has to be good, particularly as there is still some reward for decades of experience and I have won a couple of times. And no sign of the Playstation for several days. This is probably a bit of a rosy picture painted by a technically challenged old buffer. There is room for games old and new - particularly this Saturday when I want a lie-in - but when it comes to some decent, harmless family fun, keep the gadgets at bay, find those dice and clear the table. Computer games can be amazing, board games can be fantastic. Sadly the best board games are less well heard of. Monopoly and Cluedo are not even in the same league as Settlers of Catan and Puerto Rico. As an inventor of a board game I have found that board games have the edge over computer games. It is all about the grown ups making time to play board games with their kids otherwise the youngsters will just go back to their computer games. You can't beat backgammon. You can play it on the board, on the computer, and on your mobile phone - on your own or with somebody else. It's a sublime mixture of skill and chance that will keep you occupied for hours. I've played many of both, and even designed both. But board games have more variety and are more fun. For two or four or six, or friendly conversation or serious competition, there's a board game to fit. Computer games still have a long way to go. Recent figures have shown that the long awaited game Halo 2 has smashed all previous records. It made more money in its first day than any movie or game ever released. It made $124 million on its day of release compared to The Incredibles, released last week, which made $72 million on its first day. Video games' popularity is on the rise. I think you need both in this world. The computer games are particularly good if you don't have any one else to play with, but the board games tend to promote socialising. Also multi-playing computer games almost always end up in arguments. I've played board games on and off for over 20 years, since I was a teenager. They are much better for you than computer games. You learn to interact with people, it's much more social. Computer games are fun, but it's a but too solitary for my tastes. I agree sometimes playing the playstation can be too much, and can destroy your eyes in the process. However, with board games after a while it gets boring; play it for one or two weeks, and then it gets locked up in the cupboard for good. They should make board games that are more challenging, and more interactive. Thus, people can play and enjoy every week, not just for a few weeks. I work in IT but prefer board games meeting up with friends every other week. It's fun, it's social. 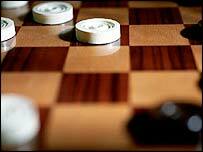 Many modern strategy games are now available from specialist board game shops. Some of these are translations of German games where board games are much more popular than in the UK. Look for Origins Game of the Year awards for a sign of a respected game. What will you be playing over Christmas?